Elejoste on the left, with Pradera, circa 1960s. “The first discovered visual surfing reference in Spain from a surfer is from José Luis Elejoste, who at the cinema Actualidades in Bilbao watched in the 1940s a documentary about Polynesia where images of surfing appeared. He consequently read in an issue of Reader’s Digest in 1944 that there were two surfing clubs in California and Hawaii. He wrote them a letter in order to obtain a surfboard (how to buy it, transport it and pay for it), but he did not receive any answer. He practised bellyboarding over a 20 years period and even made dozens of little planks for other people. He finally bought his first surfboard in Biarritz (France), in 1965, and took it to in Vizcaya, where he inspired others to surf, like Juan Carlos Pradera, Estanis Escauriaza, Raúl Dourdil, Chema Elexpuru, Goyo Ituregui or Jon Susaeta, who years later became relevant surfers at the Spanish competition” (Esparza, 2016: 204). 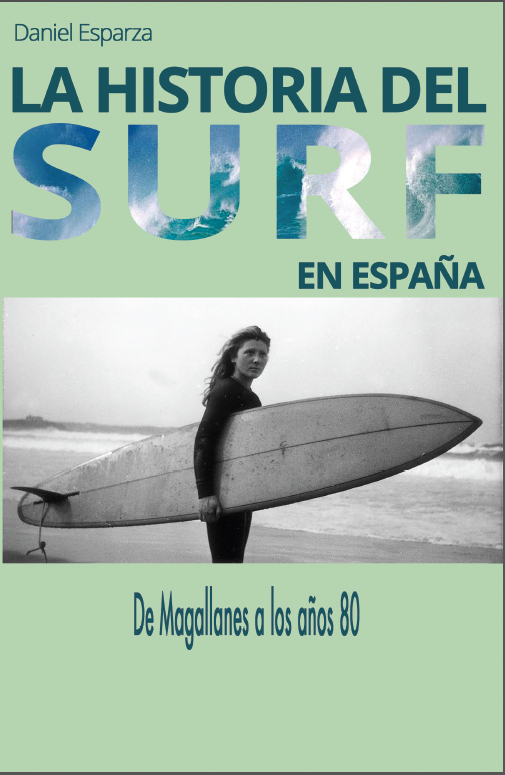 More information in: “La Historia del Surf en España” [The History of Surfing in Spain], a book reviewed by The International Journal of the History of the Sport.